Welcome to my world of good and bad, right and wrong, a neo-noir landscape where technology simultaneously creates possibilities to empower and reclaim part of the web, but also quickly reveals the extent of our data traces, the ease in which we can be surveilled, the dangers of walking through a world where ‘individual consent’ is replaced with ‘social consent’ where privacy has to asked for rather than assumed. In this talk we’ll look at privacy and surveillance, data ownership and accessibility. As part of this we will cast a light on the shadowy world of face recognition, passive wifi tracking and more. As part of this we’ll look at issues such as personal rights as well as gender and racial bias. My plan is to ultimately make you all join #TeamLuddite – not against technology or inept at using it, not against “the future” but ready to interrogate the moral and ethical implications of the choices we make. The idea for having Martin speak at Domains was a happy accident while speaking with both Maren Deepwell and Martin about ideas for OER19. 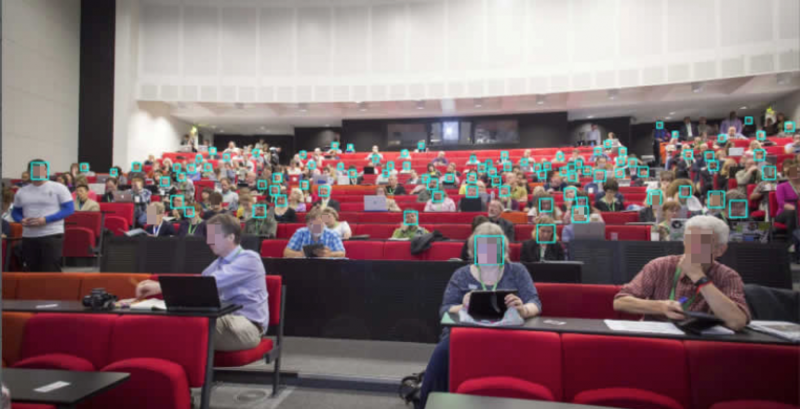 He had done something wild with a Raspberry Pi and facial recognition at DevFest London in 2017, and when we were talking about the conference themes around Domains19 he linked to his post on the talk. We were immediately sold, this kind of Minority Report-esque installation that explores the ethical boundaries of the tech we have come to take for granted is exactly what we were hoping Domains19 would manifest. Stay tuned for more, and if you haven’t already, be sure to submit a presentation and/or installation. What’s more, registration is open as well—so run, don’t walk, over to Domains19 and join the party.